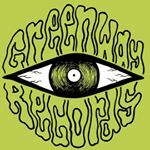 By submitting your email address you are agreeing to be communicated with by @greenwayrecords. Watch: NEW Dirty Fences "911"
STREAM + ORDER Dirty Fences 'GOODBYE LOVE' : Limited Splatter Vinyl + Digital & More! STREAM + ORDER The Routes 'Dirty Needles & Pins' : Limited Splatter Vinyl + Digital! Watch: New Stuyedeyed video 'Believer' via The 405! BIRDS debut LP "Everything All At Once" Vinyl & Streaming here! New Scott Yoder 7" + track premier via KEXP!